We’ve hit the halfway point of 2015 and already we’ve been treated to some very very fine music of the folk, acoustic and roots albums from some of our favourite artists. When I was sifting through the releases so far this year whittling it down to just ten records was almost impossible. But this is the challenge I’ve set myself and ten albums I have chosen – with honourable mentions to of course go to William Fitzsimmons, Passenger, Lucy Wise Trio, José González, Catgut, Punch Brothers, The Decemberists and many many more. So prepare to discover some amazing music, revisit some amazing music or hotly debate what’s missing from our list of the top ten albums and EPs from the first half of 2015. The return of Kate Burke & Ruth Hazleton to the studio with their fifth album was welcomed with open arms from everyone in the folk scene. I’ve said it many times before but Kate Burke & Ruth Hazleton’s music in the early 2000’s is what solidified me as a life long fan of folk and traditional music and having them back in my earbuds with brand new music is simply wonderful. This album is everything you want from Kate & Ruth – beautiful harmonies, stunning renditions of traditional songs and some contemporary music added in for good measure. Five albums in seven years is no mean feat, but what is truly amazing about Laura Marling is how much she has grown as an artist over that time. Not content to just present the same idea over and over again Laura Marling has become more than the sum of her influences, more than just a sweet folk singer from London, and has truly become one of the most exciting and important artists of her generation. Short Movie is the most lyrically and melodically raw album of Marling’s catalogue – all electric guitars and Dylan-esque spoken lyrics – yet it also manages to be her most seamlessly produced work to date, which is yet another achievement given the record was completely self produced. Where did you come from Marlon Williams? By this time last year I’d only heard rumours of this alt-country singer from New Zealand who was taking the folk scene by storm. Since then I’ve seen the man live more times than I can count, watched him literally reduce audience members to tears with his voice and have had his self titled album on repeat since its release. Williams has been described as harkening back to the country music stars of old, but I think there’s something thoroughly modern about his music – taking his cue the best of the golden tonsiled singers of the 50s and 60s and updating that sound to a new generation. 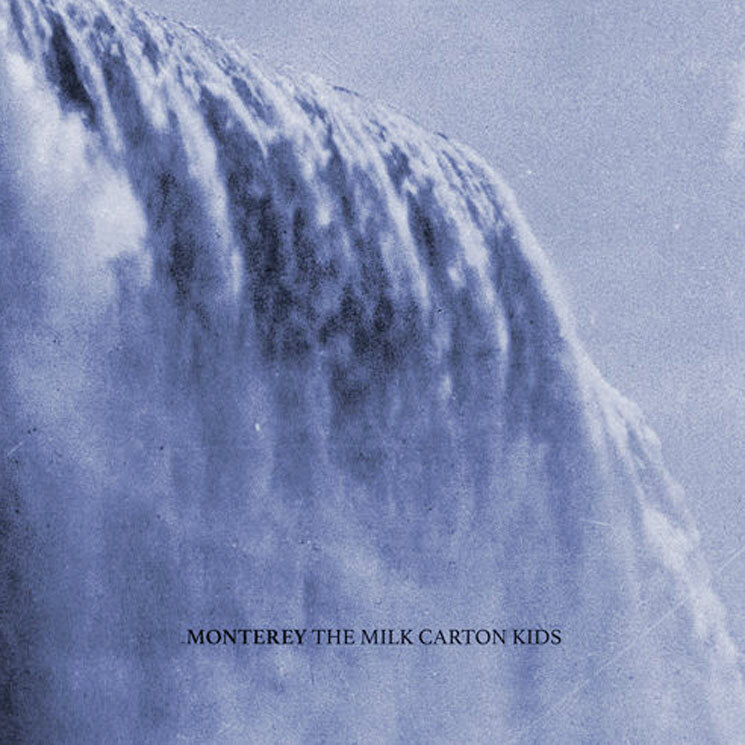 When you listen to a new Milk Carton Kids album you pretty much know exactly what you’re going to get – two part harmonies over lead and rhythm guitar. But what makes Monterey stand out to me is the production. For the first time I feel like The Milk Carton Kids’ live sound has been captured on a record, although I can’t quite put my finger on why that’s so – on the surface the presentation is not that much different to The Ash & Clay. Maybe it’s just the “feeling” of the songs – but whatever it is this is definitely an album to have in your collection. I’m kind of glad it’s taken three years for Packwood to release new music since his incredible debut self-titled album. In the intervening years Packwood has developed as a songwriter, adding a lyrical depth to his beautifully arranged chamber-folk music that was a little lacking on the first release. Autumnal is the first of two mini albums that Packwood has already released this year (with two more to come) but is by far my favourite with its choral arrangements, sweeping orchestras and nods to contemporaries like Sufjan Stevens and Sam Amidon. I’m going to revisit Packwood’s entire seasonal concept album Vertumnus as a whole once all four mini-albums are released, but for the moment I’m thoroughly enjoying Autumnal as a standalone release. 2015 really been the the year of Rhiannon Giddens. Her successful collaboration with superstar producer T-Bone Burnett on the Inside Llewyn Davis concert Another Day, Another Time as well as the Lost on the River: The New Basement Tapes has lead to the outstanding Tomorrow Is My Turn, Giddens’ debut solo album. The record takes traditional and contemporary music and reimagines it for Giddens folk-blues-jazz-old-time voice with amazing results, elevating her beyond her work with The Carolina Chocolate Drops. I feel like Tomorrow Is My Turn is destined to be an album that influences folk singers for years to come. When we picked Ruby Boots as an artist to watch in 2015 we suspected that come July we’d be talking up her new album Solitude. And that prediction has come true as Solitude is one of the alt-country albums of the past few years. Ruby Boots’s trademark big country voice is all over this record but what really makes it for me is just how tight she’s sounding with her full band – in fact I’d almost say that Solitude is the first time I’d describe Ruby Boots as a “band” rather than the solo project of frontwoman Bex Chilcott. When you add that dynamic to Ruby Boots’ masterful songwriting you’ve got an instant Australian country music classic. While I’ve enjoyed almost everything Sufjan Stevens has produced in the last five years his move away from his experimental electro music and back to his folk roots for Carrie & Lowell got me extremely excited, and the album itself has not disappointed. Here is a fragile, sumptuous, personal, raw piece of art that may well be Sufjan Stevens’ best album to date. I’m glad that Carrie & Lowell isn’t just Seven Swans revisited and that despite it being very much a folk album you can still here the echo of Stevens’ electro dalliance. This is Sufjan Stevens moving forward with his music and we’re all going on the journey with him. I feel like The Staves have always been destined for greatness since they burst onto the UK nu-folk scene almost six years ago. But it’s taken their Justin Vernon produced album If I Was to bring them to the attention of the wider folk community. In the past The Staves have leant on their three part harmonies to drive their music, and those harmonies are all over this album, but the inclusion of Vernon as producer has brought with it a full compliment of drums, guitars, horns and more. This adds a wonderful fullness to If I Was and only enhances The Staves’ stunning singing and songwriting. Tolka really are on the cutting edge of traditionally inspired music in Australia right now. Their latest album One House is almost entirely original music that draws so heavily on the tradition that you’d assume all of the tunes have existed for millennia. The production is pretty spot on and I love the use of samples dotted throughout – it adds an extra element to the music and makes One House stand out from its contemporaries. I can’t wait to see what Tolka have in store next.